On your dream day why not incorporate a dream catcher!! A dream day with a dream catcher! They add a simple detail in the decor of a whole wedding or event! 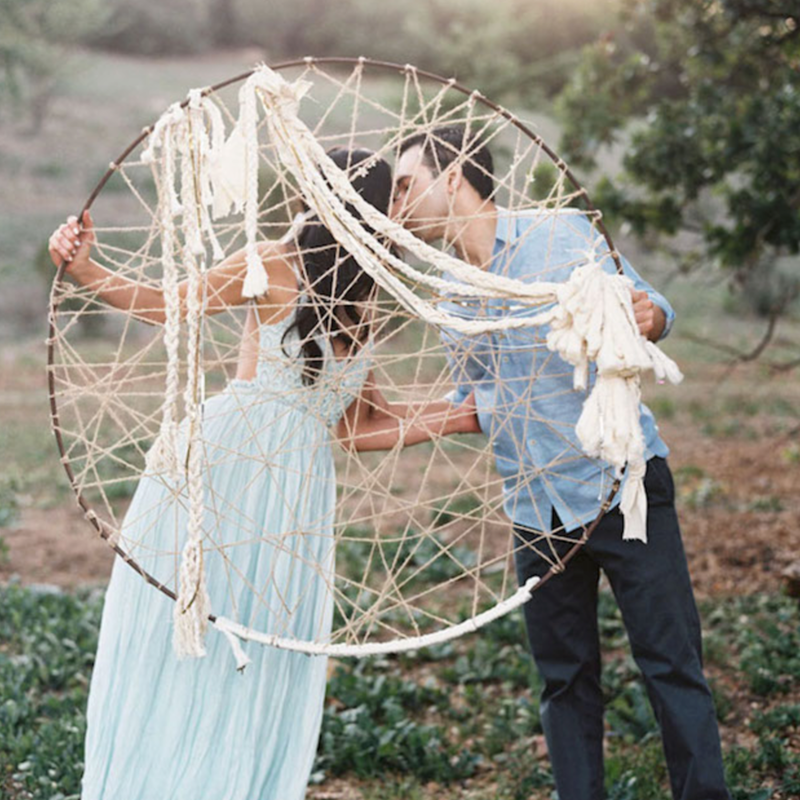 Some people think that there is a bohemian feel to some dream catchers, but it doesn't have to be a completely bohemian wedding! You can have a neutral wedding with a simple colour scheme and to have some colourful dream catcher or to have some lovely dream catcher accents in a setting that you would like. You can also go complete bohemian which is amazing and wonderful for the colour schemes you can pull off, you can add dreamcatchers on the tables or on the walls to accent your theme even more. You can have dream catchers as a memory to show guests how much you appreciate their well wishes and how much you like their presence at the wedding by inviting them into your life as it starts as one. The new journey you will be taking will have a lot of dreams, so dream catchers are very fitting for the wedding occasion.